For the style, durability and versatility of leather, visit the Lake's Leather Source and Biker Outfitter. The Leather Man is located on the historic Bagnell Dam Strip in Lake Ozark, Missouri. 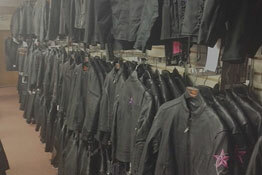 We have leather jackets in sizes and styles for revving your bike or hitting the town. And our chaps let you feel confident knowing real leather is between you and the pavement. Lengths adjusted in the store. We also carry vests, t-shirts and more to complete your look. Try on biker footwear from Ride-Tec, Milwaukee and other great brands. 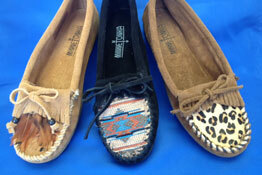 Leather Man is also the Lake's source for Minnetonka Moccasins™, slippers, and boots for the whole family. Add these unique, high quality shoes to your wardrobe. Browse through purses, bags, backpacks, messenger bags, and more. We also offer leather wallets, belts, and even bracelets. Belts are custom sized in the store. 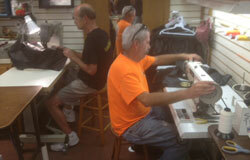 Patches purchased in the store are sewn on while you wait. For years Leather Man has offered quality leather goods to visitors and locals alike. Before hitting the open road, outfit yourself for biking with leather jackets, vests, chaps and pants. And don’t forget leather gloves and bags for your bike. The durability and style of leather makes it a great choice for any outdoor activity, and the Leather Man has the selection to meet your needs. Buy a patch and we'll sew it on while you wait. Read our latest posts below. Choose from a great selection of apparel, bags and accessories. 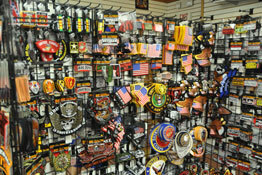 Get outfitted for a motorcycle ride with leather jackets, vests, pants, and chaps at fantastic prices. And don’t let the name fool you. 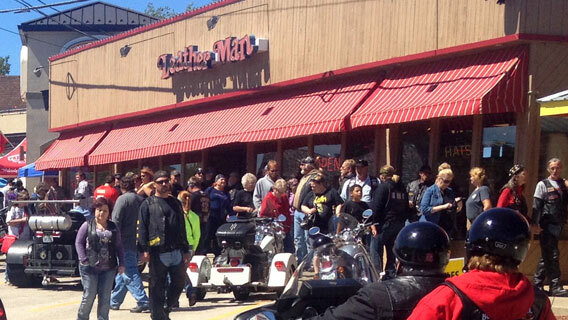 At Leather Man, women find just as much to get excited about. Check out our store and enjoy the luxury and style real leather provides.